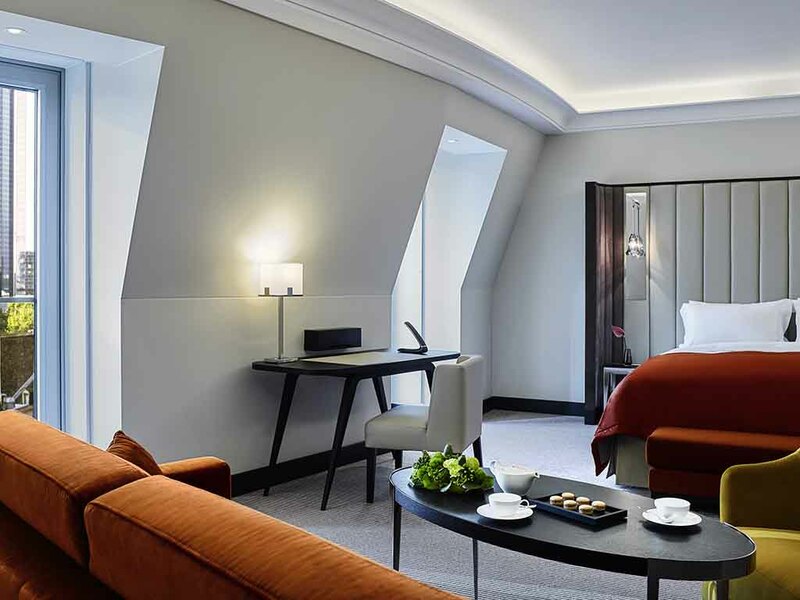 The French way of life drifts through our elegant city hotel like the scent of a delicate perfume, adorning it with art, culture and lively charm. 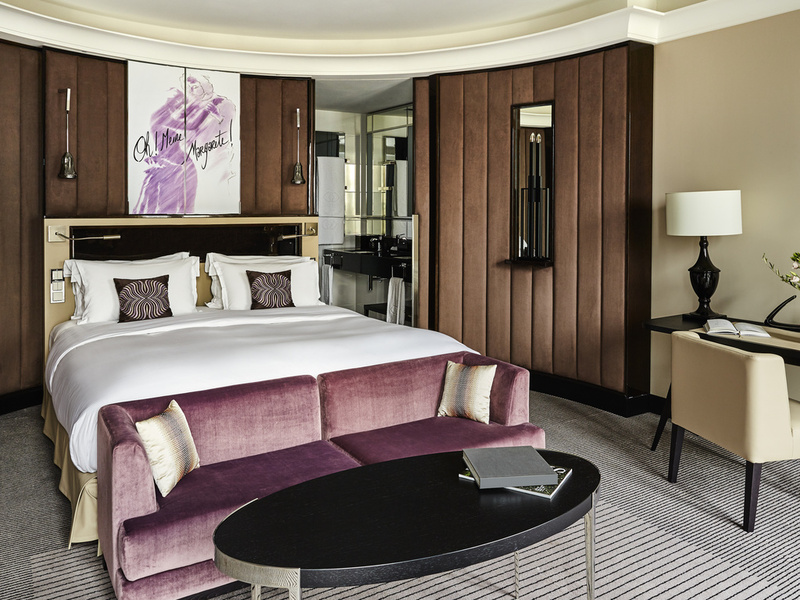 L'art de vivre at the Sofitel Frankfurt Opera - the French way to discover Mainhattan. ation, where you can not only master demanding business trips or meetings with ease, but also withdraw to a comfortable and luxurious private space. 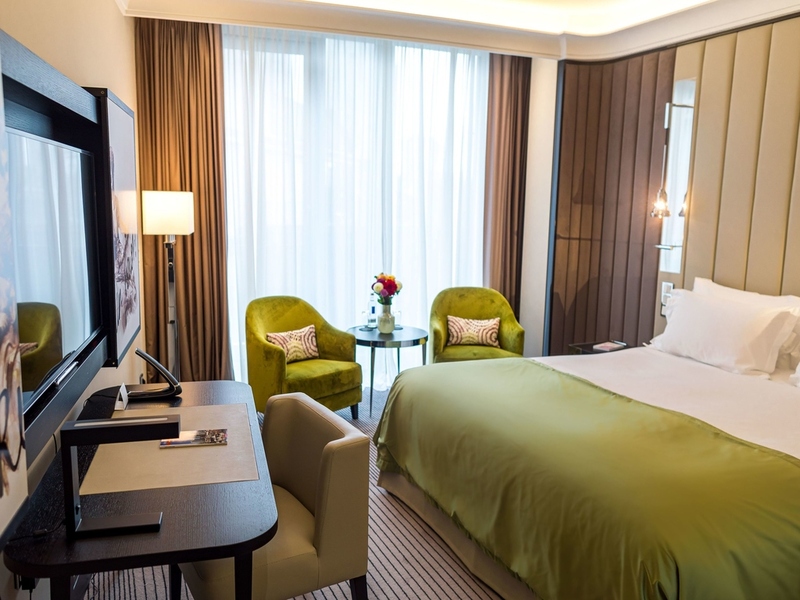 Welcome to the Sofitel Frankfurt Opera hotel. 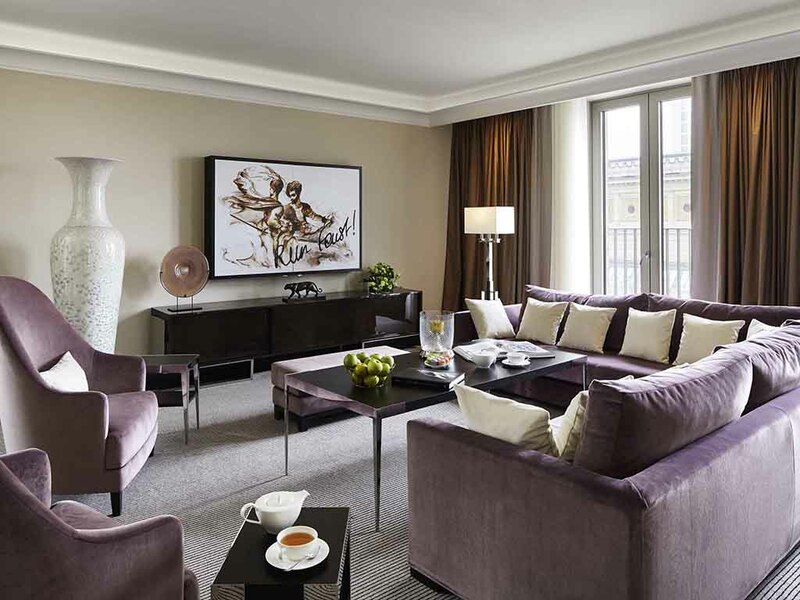 This sophisticated city palace at the heart of Frankfurt combines pure luxury and timeless elegance. Enjoy the French art of living in the form of a tailor-made service and refined cuisine. Life is Magnifique in Frankfurt.. The paintings in the lobby will lend your stay an additional cultural high point. The city's only "hôtel particulier"
The first and only city residence modelled on aristocratic architecture in the heart of Frankfurt. 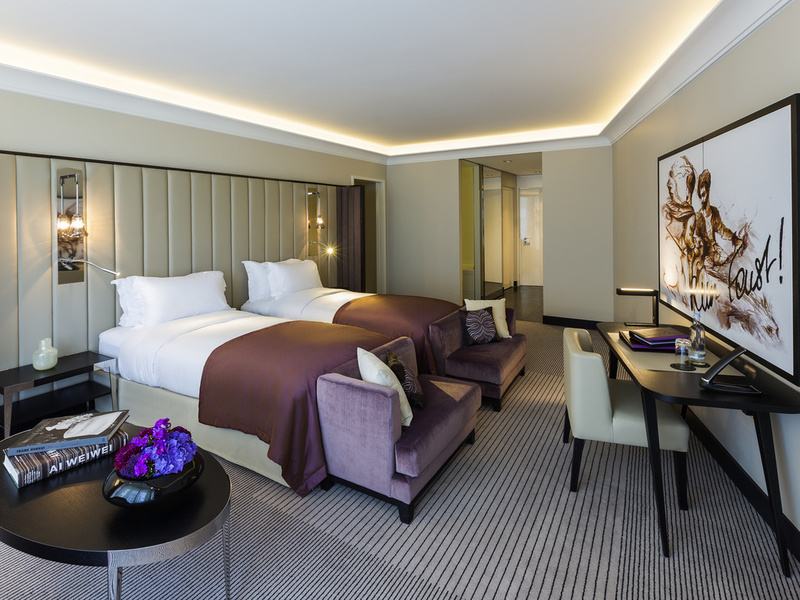 Boasting a premium location with views of the Alte Oper (Old Opera House), you will find yourself amidst Frankfurt's colorful cultural scene. Frankfurt is home to Germany's most important airport and one of the world's largest exhibition centers. But the city, nicknamed "Mainhattan", also offers a range of cultural attractions including museums, theaters and stylish shops. With PLANET 21 we commit ourselves to supporting sustainable development. Nature, emissions, innovations, regional areas, workplaces, health and interactions - areas that the hotel is involved with on a daily basis. Set across 323-484 sq. ft. (30-45 m²), we offer exclusive design, luxurious bathrooms with rain showers, Hermès products and BOSE sound systems and widescreen TVs. Gaze out at the stars from the comfort of your MyBed. For your comfort, our 31 suites are a spacious 538-1507 sq. ft (50-140 m²) and feature luxury bathrooms, Bose 321 sound systems and widescreen TVs. The Presidential Suite features a 1399 sq. ft (130 m²) terrace and spectacular views of Frankfurt am Main. 30 m²/322 ft², Sofitel MyBed, bath or shower, Lanvin toiletries, free WiFi, 48 "TV. 36 m²/365 sq. ft, Sofitel MyBed, bath or shower, Lanvin toiletries, free Wi-Fi, 48 "TV. 45 m²/484 sq. 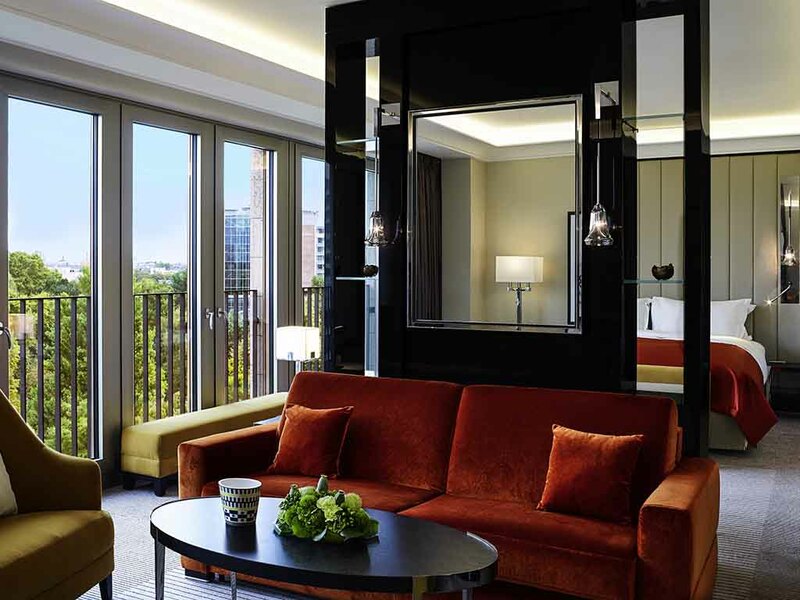 ft., Sofitel MyBed, turndown service, bathtub or rain shower, Lanvin toiletries, BOSE sound system, 48 "TV, free Wi-Fi, Illy coffee and Dammann tea set. 50 m²/538 sq. 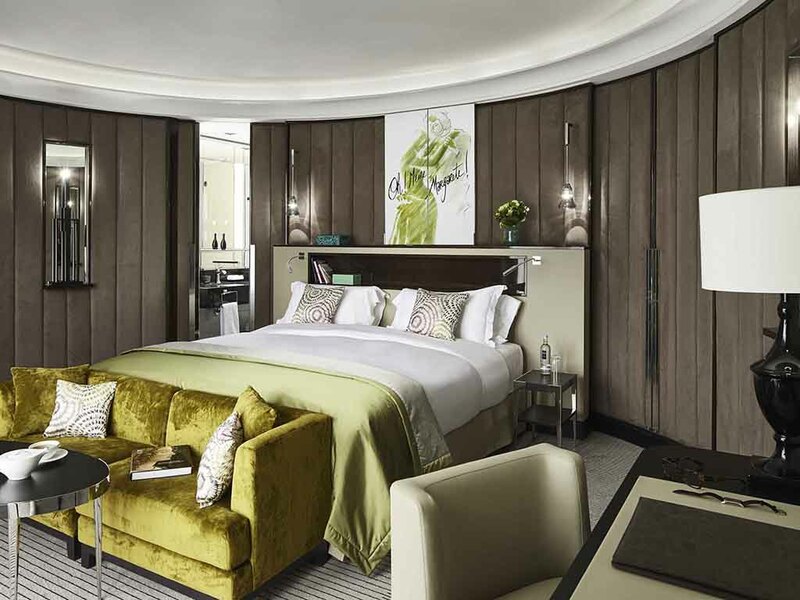 ft, city or park view, Sofitel MyBed, turndown service, bath or rain shower, Japanese toilet, Hermès toiletries, free Wi-Fi, BOSE sound system, 48 "TV, Illy coffee and Dammann tea set. 60 m²/645 sq. ft, city or park view, separate living room, Sofitel MyBed, bathtub and rain shower, Japanese toilet, guest toilet, Hermès toiletries, free Wi-Fi, 48 "TV, Illy coffee and Damman tea set. 90 m²/861 sq. ft, 7th floor, city view, separate living room, Sofitel MyBed, bathtub and rain shower, Japanese toilet, guest toilet, Hermès toiletries, free Wi-Fi, 55 "TV, Illy coffee and Dammann tea set. 120 m²/1291 ft², separate living, dining room, kitchen, Sofitel MyBed, bath, rain shower, Japanese & guest toilet, Hermès toiletries, 55 "TV, Illy coffee & Dammann tea set, roof terrace 130 m²/1399 sq.ft. Our top chefs have taken inspiration from Parisian bistros for their beautifully delicate and simple dishes. Start the day with a delicious breakfast and let us spoil you with our French cuisine. In Lilli's bar, you are always in good company. Here, you can philosophize about art and discuss business. 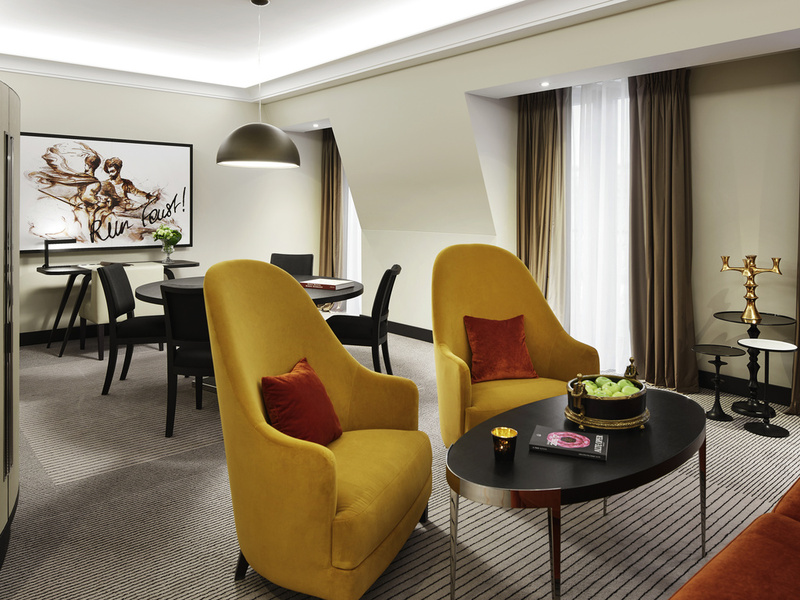 Relax in the elegant surroundings while enjoying a glass of champagne or Frankfurt cider. The Schönemann restaurant is dedicated to Goethe's great love Anna Elisabeth (Lili) Schönemann. Lilli's Bar serves exquisitely crafted drinks in the midst of poetry and extravagant design. Enjoy the warmth of the sun on the terrace of the Schönemann restaurant on the Opernplatz. Poetry on the ceiling, opulent pillars and an extravagant, Baroque-inspired design create a modern, romantic atmosphere in which you can enjoy your favorite cocktail with all your senses. Organize successful conferences or inspiring meetings and enjoy unforgettable experiences: The Sofitel Frankfurt Opera hotel offers all the benefits of a professional conference hotel and can be transformed into a glamourous venue for events on request. The elegant ballroom measuring 3444 sq. ft (320 m²) can accommodate 270 people and can be adapted to meet your event's specific requirements - as can the 3 modular meeting rooms and the exclusive boardroom. Our experienced Magnifique Meetings team personally ensures that your private or professional event at the Sofitel Frankfurt Opera hotel is exactly how you want it to be - from the technology and premium catering to the entertainment. Experience the art of modern relaxation in our luxury spa. In this exquisite setting with elegant floral accents, enjoy beauty rituals from all over the world or treat yourself to a rejuvenating treatment with innovative cosmetics from Decléor and Carita. 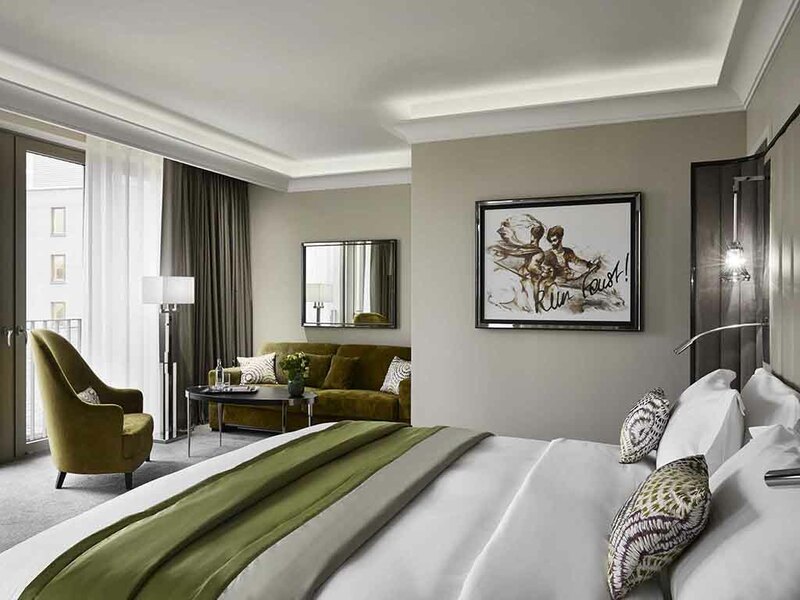 From valet parking to our personal butler service for selected Suites, the Sofitel Frankfurt Opera hotel offers all the services of a French luxury hotel, and our concierge knows where to find all the best shops, restaurants and events in Frankfurt. Explore cultural Frankfurt and walk from the Old Opera to the Museumsufer. Here 15 museums are lined up. Those who feel like shopping will find luxurious shops on the nearby Goethestraße. Give your mind a break and let your body take over. The 27-yard (25-meter) sports pool in the fitness center opposite the hotel is within easy reach. Please note that children under the age of 16 are not permitted entry. Enjoy a workout in our modern SoFit fitness center. We also recommend the adjacent Fitness First Black Label Club set over an area of more than 32,293 sq. ft. with a 27-yard swimming pool (free), courses, boulder wall and personal trainers (surcharge).